Time to fix your sliding door & get on with life? We are always surprised at how long people let their sliding door repair issue drag on (pardon the pun). You will be surprised at how much easier life is for the whole family once your sliding door is fixed. 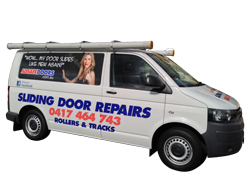 We have a specialist sliding door repair team and we head over to the North Shore from Warrawee to Pymble to Waitara East every single week. The look of relief when our customers can see their door sliding with one finger is amazing. Also, knowing you don’t have to waste your money on a brand new door. Instead, our team can repair your sliding door for a fraction of the cost of a brand new one. Adsafe Doors has been servicing the North Shore area with sliding door repairs for over 20 years and have hundreds of satisfied customers. 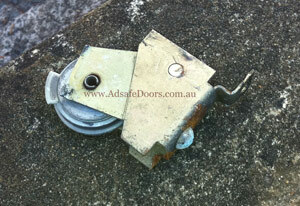 If you found yourself nodding your head when reading the point above, then you need to give Adsafe Doors a call today. We’ll provide you with a friendly quote so you know exactly what it will cost. You will also be given convenient options as to when we can book in your sliding door repair. Our history in the North Shore Area is extensive and we have been operating in the area since 1992 and all our work is quality guaranteed. We only use premium products and promise that once we have finished working on your door, you will be able to open and close it with one finger.